$99.00 In stock. Order in the next 11 hours, 59 minutes and it will go out today! In stock. Order in the next 11 hours, 59 minutes and it will go out today! Live performance video in three locations: a 1000 seat theater, a Wisconsin library, and the Magic Castle. Commentary on all the shows. Scott brings in Family Magicians Dave Cox, Carissa Hendrix and Christopher T. Magician. 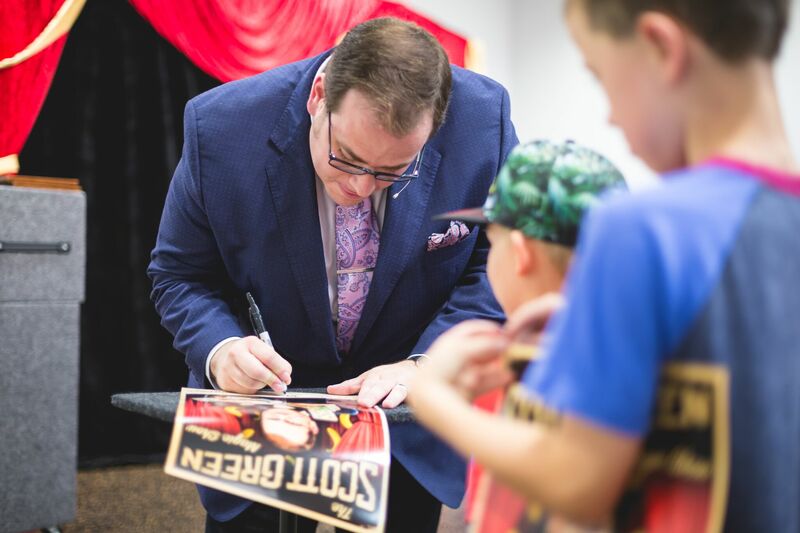 So after you’ve watched each show, you can watch it again with Scott and his guests discussing the routines, the audience and what makes Scott such a success as a Family Magician. TV Appearances on local news channels. Learn from Scott’s experience, techniques and the approach he uses to promote events and his business on TV. Explanations of all the routines, plus Scott’s thoughts on selecting and managing audience volunteers, marketing, prop building and creating routines. 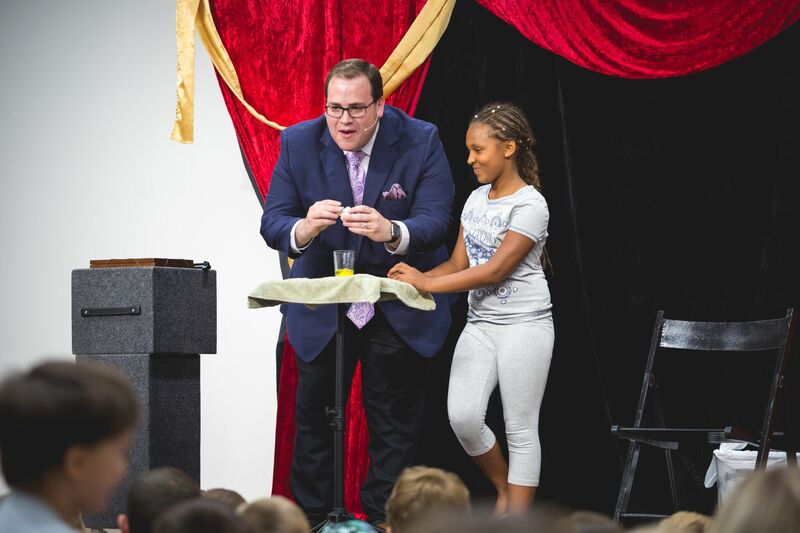 If you’ve read Scott’s book, Excellence in Family Magic, you know how great his thinking is, especially when it comes to creating original routines with classic kids show props. 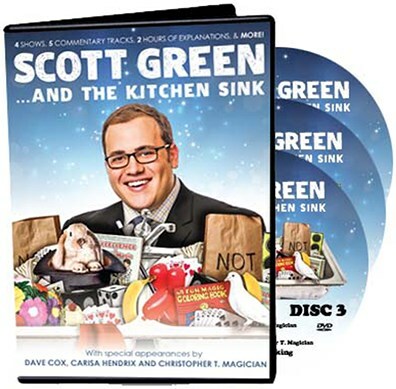 Now in this DVD set, you’ll see it all come to life as you get to see his shows, filmed with three cameras and professionally edited to maximize your viewing and learning experience. Whenever a full-time, kids show pro releases a significant work, you need to sit up and take notice. 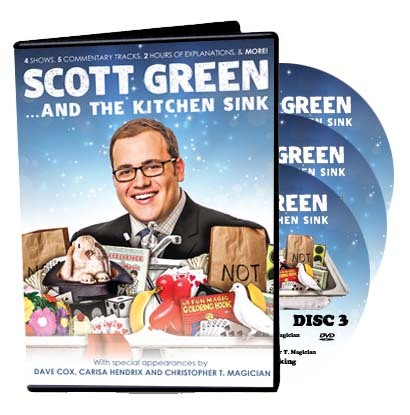 This DVD set gives you Scott’s expertise: the shows, the routines, the explanations, the creativity, and the business on the business of being a professional magician. Watch it and take notes! 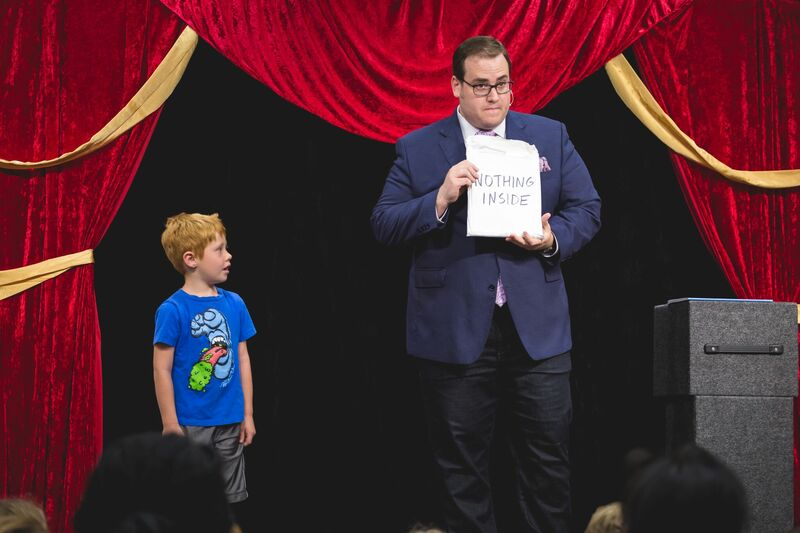 Soon, you’ll be on your way to presenting new tricks and improving your overall show for children and their families. I had the opportunity to meet Scott Green and purchase a copy of these DVD's at the Kidabra Convention in August (2017). I cannot recommend these DVD's more. If you are a kid performer, then these are a MUST! These DVD's include suggestions, tips, ideas, kid magic theory and lots of awesome routines! He actually even shows a bunch of his proprietary (not released) routines, just so you can see the best way to entertain for kids. If you want to improve your magic or your performance for kids, then this DVD is for you!